Have you noticed that the garage door is the largest moving part of your home? Our garage doors are designed to be as safe as possible, but there are some safety precautions and guidelines you should keep in mind to keep your family safe from harm. 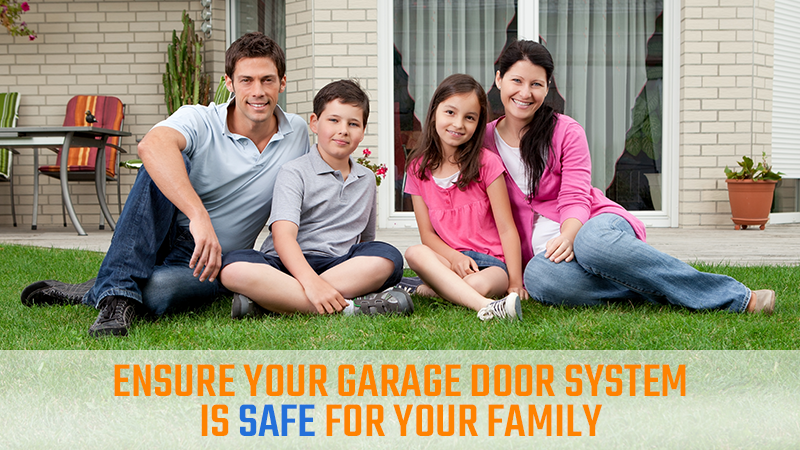 Here are some tips to keep your garage door system safe for your family. Perform Routine Check-UpsTake a close look at the garage door once per month to make sure that everything is working properly. Check for loose nuts or bolts and make sure the horizontal tracks are parallel. Make sure that the rollers are in good condition. Give us a call for maintenance help with springs, hinges or lifting cables. Don’t try to repair these parts by yourself as they are under very high tension. Consult the door’s maintenance guide for more maintenance tips. You also should double check the door’s reversal mechanisms once a month as well. Test out the mechanical reversal system by putting a 2×4 under the garage door as it closes. When the door hits the wood, it should back up automatically. Test out the photoelectric reversal mechanism by carefully placing your leg in the path of the closing door. The door will detect the motion and automatically reverse. If either of these systems are not working properly, contact us for maintenance help. 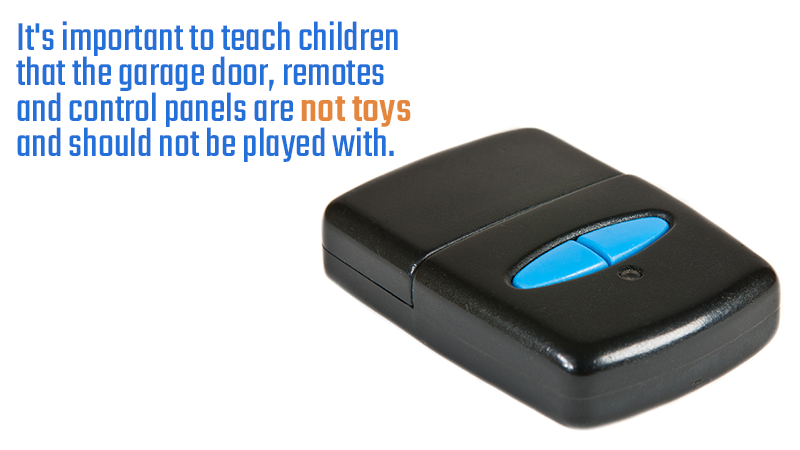 Teach Kids Safety MeasuresIt’s important to teach children that the garage door, remotes and control panels are not toys and should not be played with. Children should never hang or climb on a garage door, and should keep their fingers out from between the parts of the door. Remind children to stand clear of the door and all moving parts and to wait until the door completely stops before entering or exiting. Showing children that the door and all of its components are not toys is the best way to avoid accidents. Practice Safety With the RemoteThe garage door remote is basically a key to your home, so keep it out of sight in your car and keep your car locked up at all times. You can also program your car to work with the homelink service so that you won’t have to carry a remote at all. Our garage doors are designed with safety in mind, but it is wise to remember these precautions as you use your door to avoid unfortunate accidents. ACS Overhead Doors is your premier contractor for garage door installation and garage door repair. We are locally owned and family operated and always put our customers first. Our technicians are highly trained professionals that will get the job done right the first time and provide quality customer service. Contact us today for a free quote!